Heat oil in a large heavy pot (I use a Dutch oven) to medium heat. Cut dough into pieces, 4 or 5 from each roll, about 40 total. 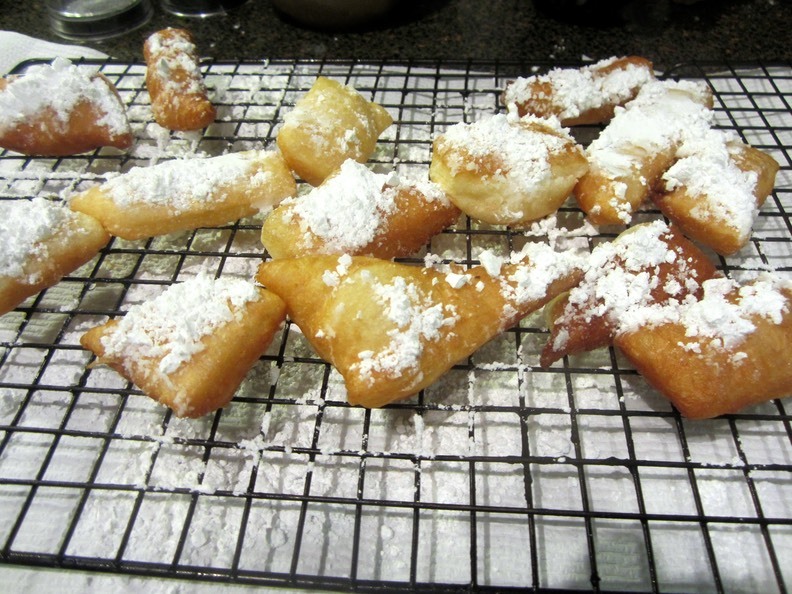 Set up a spot to drain beignets on paper towels. Drop 3 or 4 pieces into hot oil, turn almost immediately and remove to paper towel. Sprinkle with powdered sugar; actually roll them around to coat. Repeat until all the beignets are fried and sugared.